For my debut foray into the great DI section we like to call Hey Shredder, I thought it would be great to obtain the insight of one of the men whose picture should be in the dictionary next to the very term. 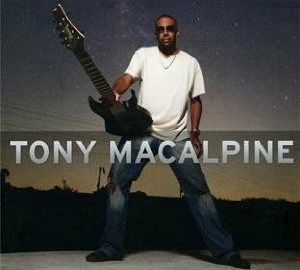 For a solid quarter-century, Tony MacAlpine has defied racial stereotypes and fleeting sonic trends as one of the most technically proficient guitarists to ever set fire to a fretboard. On his eponymously titled 13th solo album, released June 21 on longtime friend and collaborator Steve Vai’s Favored Nations label, the former member of the underrated 80s prog-rock act Planet X delivers a tour de force of dexterity and versatility that, along with the help of drummers Virgil Donati and Marco Minnemann and bassist Philip Bynoe, delivers a perfect storm of jazz, metal and rock that could very well be his best album to date. 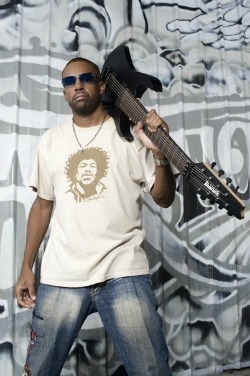 Ten years has passed between Chromaticity and Tony MacAlpine. Why the long wait between solo releases? Well, sometimes it’s hard to believe that much time has passed since the last solo, but it was a very useful break. During that time besides recharging the batteries, I was very involved with other bands and projects. I had done quite a bit of work with Planet X and Steve Vai and a huge tour with French singer Michel Polanareff in 2007 that kept me in France for over a year. How do you feel your new album differs from your previous work? One just needs to listen to the CD to understand the vast changes. I am working with 7 and 8 string guitars and using the extended range of these instruments to incorporate a sound that is normally not heard in my style. The CD has that similar energy level that is usually part of my music but the current era and music trends have allowed this new release to fit like a glove in today’s scene. Tell me more about your new Ibanez 8-string. What is the benefit of the extra pair of strings on the fret in your opinion? The 8 string guitar has a low B and a lower F# string, and the 7 string has a low B below the standard E string on a 6. These extra strings increase the tonal range of the instrument by adding more harmonics in the higher octaves as well as fuller chordal tones in the lower octaves. What is the status of Planet X and will you guys be releasing something new soon? There has been no discussion that I am aware of that there will be another Planet X CD with the original players. My emphasis now is to concentrate on performing many live shows with my new solo band. It’s an amazing line-up, and we’ll be announcing details about the band and tour dates soon. 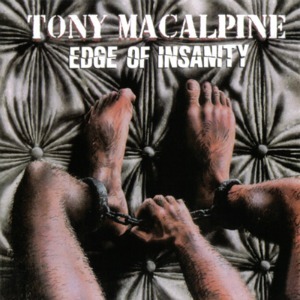 On our headline tour we’ll be performing the entire Edge Of Insanity album in sequence as part of the set, in honor of its 25th anniversary. Where do you stand on Guitar Hero? Do you believe it helps or harms your art form? I would suppose every media form that involves your music is a great thing to have because younger people and enthusiasts of that game get exposed to some music in game form. That really gets them to be part of the whole music process and leaves them with an impression of achievement. I just watched your awesome guest spot on That Metal Show. 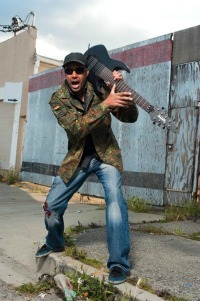 Were you surprised to hear how big of a fan you have in Tom Morello? Did you and he chat afterwards? Are you a fan of his? 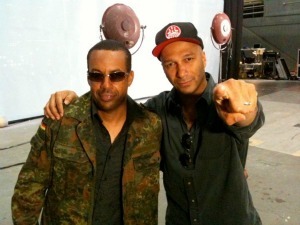 I have met Tom Morello a few times before, and he has always been such a gracious and warm person. I have enjoyed listening to him talk and tell stories of the road life, and yes of course, we had a great time after the show to do that once again. It’s one thing to be a super player but to be a very down to earth person, well, Tom has all of that. Tell me about the first time you met Steve Vai and how you came to be a part of the Favored Nations family. I met Steve Vai years ago, back when he needed a player in his band that could play both keys and guitar. At the time Virgil Donati was in his band along with Billy Sheehan, and I suppose my name came up as someone who could replace Mike Keneally. He gave me a phone call and I came down and jammed with the band, and it all felt good. From there we developed a very good friendship that resulted in my band CAB releasing some music on the Favored Nations Label. That was the start of it! 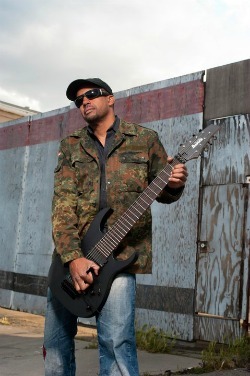 Who was the first guitarist that inspired you to pick up the instrument and why? I would suppose it was my brother Chris MacAlpine. I used to watch him play for hours and I was always mesmerized by the instrument. He gave me one of his old guitars and showed me some licks from some Johnny Winter records. I used to play those licks and that guitar all day. Where do you stand on psychedelic music? I don’t have any stand on it I suppose because I really have not listened much to it. But I do try to hear as much music as I can and that would include stuff I normally would not hear, but I must have missed the psychedelic movement. I better try to catch up though. Who is a guitarist you admire that might surprise your fans? I don’t think it’s any mystery that I have always been a huge fan of George Benson and Johnny Winter, the great blues player. There are just so many wonderful players out there. However, so much of my time is spent reading and playing classical music on the piano. I don’t really spend much time listening to guitar players today. If someone points out a player, I would be glad to hear it, but I would say I am more of a player than a listener. Have you ever been invited to join a commercially established band a la Joe Satriani when he was asked by Sammy Hagar and Michael Anthony to be in Chickenfoot? Would that be something of interest to you? No, I have never been asked to play in any commercially established bands like Chickenfoot. It would certainly be of interest to me to play in a band of that type. All things that are new are quite interesting and I am open to many new styles of music…but who knows maybe after we play some more live shows with the new band some interesting situations may develop. Finally, the first time I was introduced to you was 20 years ago when a friend of mine brought me to a guitar clinic you were holding at Alto Music in Middletown, NY. Do you remember that gig? If so, do you have a good memory from that event? Ha ha ,no. I have done so many guitar clinics all over this world for so many years that it is really very difficult to remember the particulars of one. You know the great thing about doing all of those things is to know that each time you come to play you do your very best. And I do hope that you enjoyed yourself at that clinic. I always try to do my very best!! !